Battle of The Bands will reaches its climax tonight at The Prince Bar, Athlone. Thirteen bands have been narrowed down to three finalists, all competing for a prize worth €10,000. Over the past few weeks, huge talent was evident at every heat and now the finalists are preparing for what is certain to be an entertaining and epic live music night. The lucky winners will receive a prize fund consisting of €2,000, print media to the value of €1,500 from Midland Print, ten paid gigs in the Prince Bar, Athlone and the Skeff Late Bar, Galway and recording time at Grouse Lodge Recording Studio. 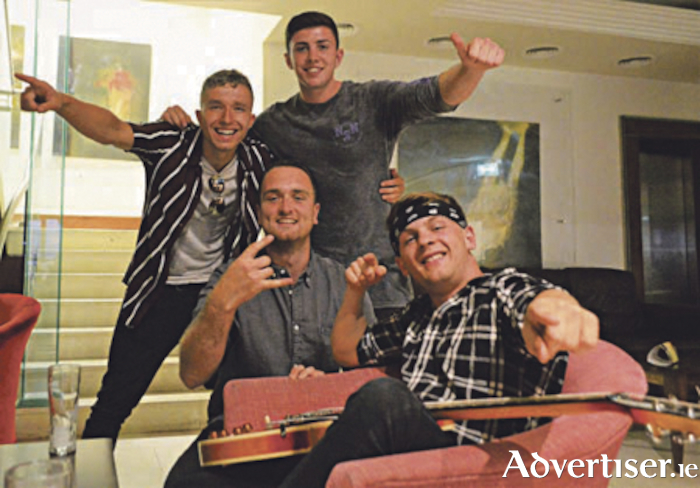 The three participating finalists are ‘Exit 13’, A young Athlone acoustic two-piece that cover a broad range of music, ‘Lucid Blue’, a four-piece rock/pop band based around Athlone and ‘For Adio’, a new upcoming Pop/Rock band from Carlow. Each band will perform a thirty-minute set on The Prince Bar stage and compete for judges and audience votes. The final will take place at 10pm tonight and there is no cover charge. Come along and vote for your winner. For more information see the Prince Bar social media pages.